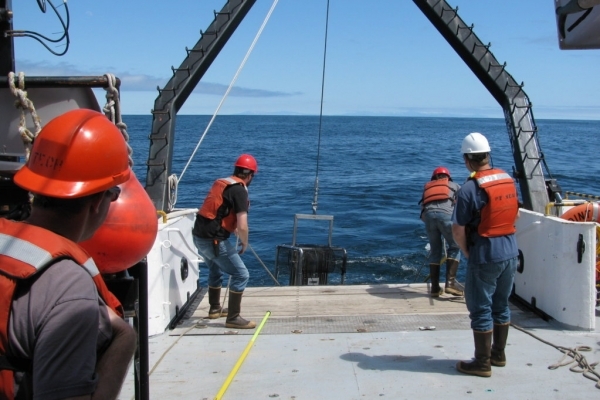 USACE and EPA identified a need to conduct a 2013 environmental monitoring survey of the physical, chemical, and biological parameters of the seafloor at SF-DODS and adjacent areas. 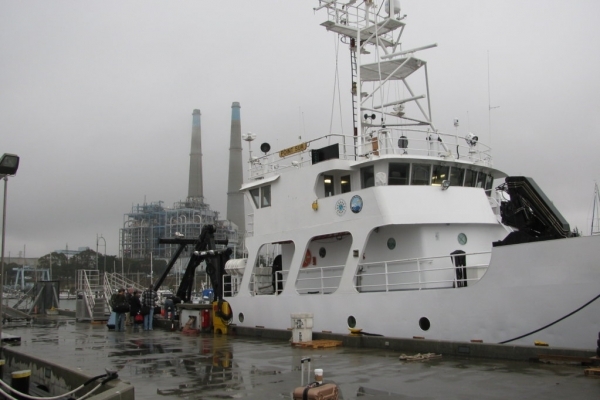 ANAMAR was contracted by USACE to conduct a benthic survey of the site to monitor the physical, chemical, and biological parameters of the site to evaluate the impact of dredged material disposal at SF-DODS in accordance with 40 CFR §§228.9 and 228.10. 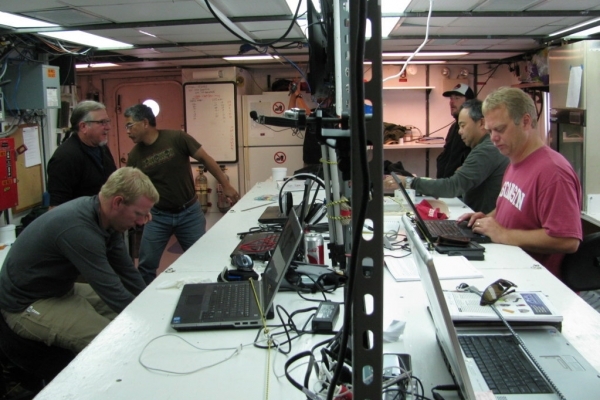 Sediment imaging was conducted using sediment-profile-imaging (SPI) cameras. 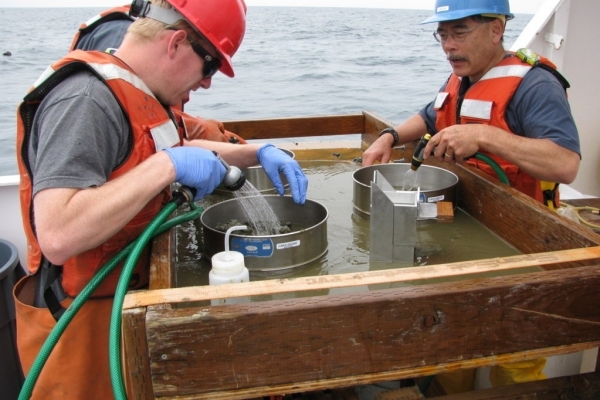 Sediment sampling was conducted using a 0.25 m2 box corer by Ocean Instruments. 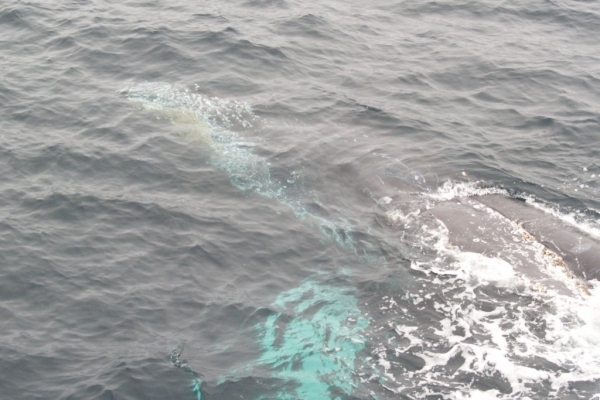 The SPI cameras and box corer were equipped with 12 kHz sonar pingers to acoustically track the equipment during descent and ascent in the deep water. 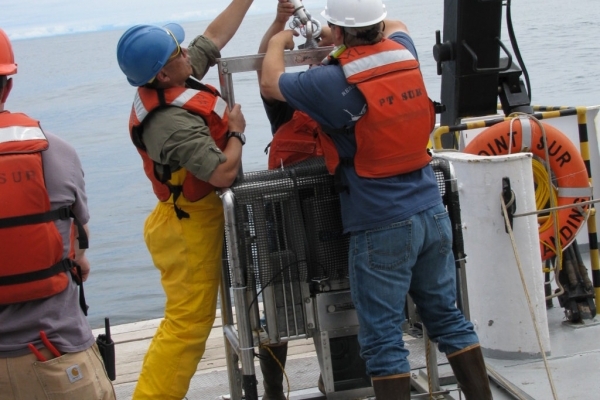 Geiger-Mueller radiation meters were employed to detect radiation in sediments relating to historical disposal activities conducted by the Navy. 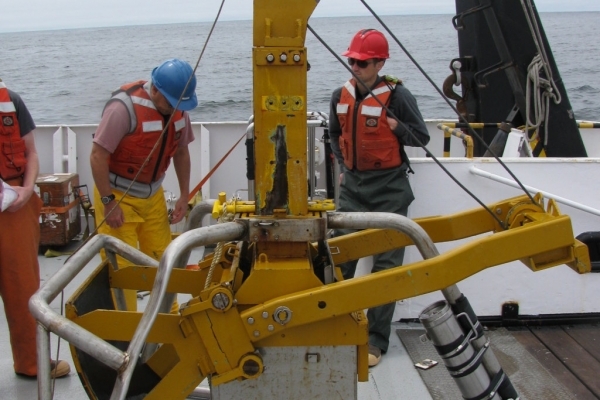 The survey successfully obtained sediment samples from three stations and obtained a field duplicate for chemistry analysis. A total of 16 stations were successfully photographed using the SPI camera despite high winds and deep water (to 3,337 meters deep). ANAMAR provided a post-survey summary report of the field methods and materials and recommendations for improvements. A final report will also be provided consisting of an analysis of SPI photographs along with the results of physical and chemical analysis of sediment.